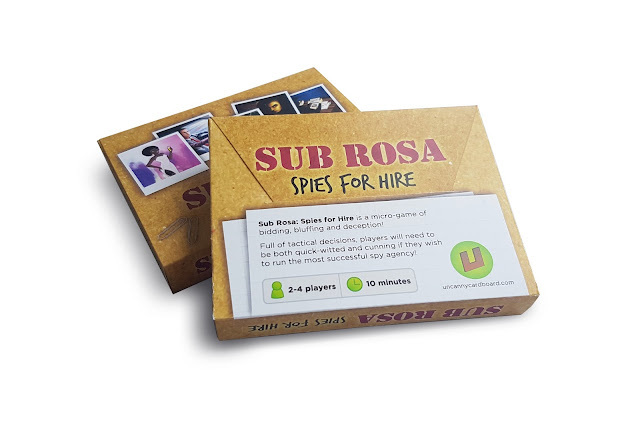 Sub Rosa: Spies for Hire is a tactical bidding and bluffing microgame by Dublin-based independent game designer Robin David O'Keeffe. It was funded on Kickstarter in mid-2016. 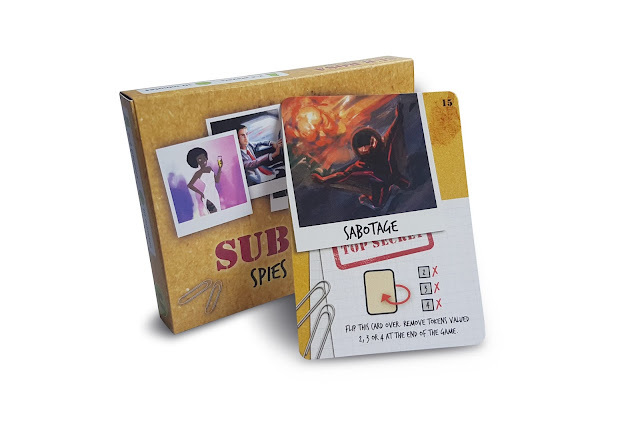 My deliverables included final artwork for the cards, playing tokens, instruction booklet, and the box. 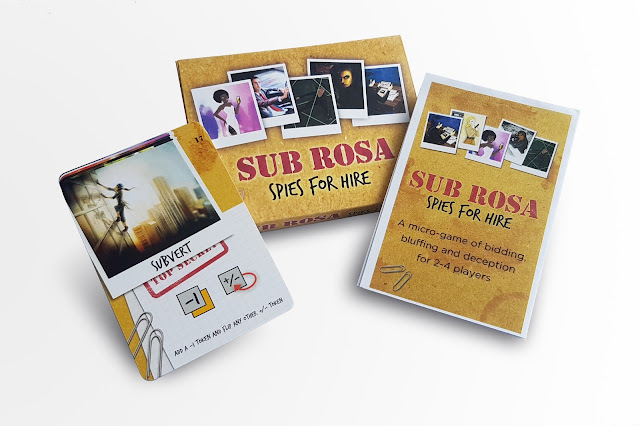 I was also one of two artists who provided illustrations of the spies in the game.